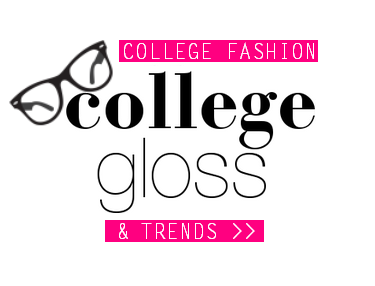 We're excited to announce that College Gloss has relaunched as a college fashion, trends, and lifestyle website! The new CG is a little edgier, with the focus more on budget-friendly fashion, beauty tips, and current student trends in food, pop culture, and tech. New features include Submit an Outfit, which lets you submit your outfit to be featured on our front page and Suggest a Story, which lets you tell us what you want to hear about! We'll also have a variety of new columns that we think you'll enjoy -- fashion blogger interviews, new websites and apps you should check out, and to how to wear the newest trends are just a few topics we'll be covering. Don't worry, we're also keeping your favorite articles on dating, DIY, and more! More awesome features will be rolled out this summer, but in the meantime, take a look around! Be sure to like us on Facebook, and follow us on Pinterest and Twitter. We're also now mobile, so you can check us out from your smartphone. We hope you enjoy the new College Gloss!